Thanks for joining our race. You can register online or download the registration form and mail the completed form and your check to the address provided. 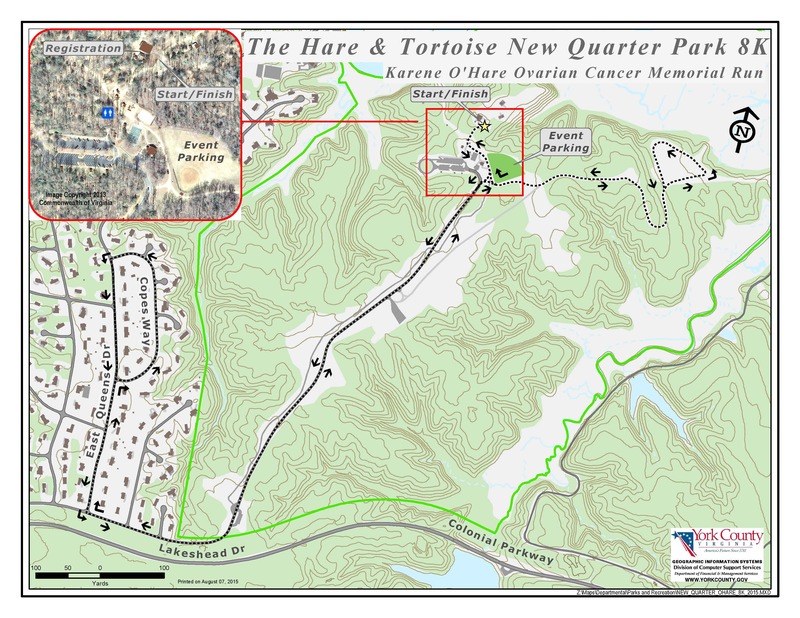 The Hare and Tortoise New Quarter Park Ovarian Cancer Memorial is being held on Saturday, September 7, 2019. $30 pre-registered, postmarked by Wednesday, August 30, $35 postmarked after August 30 and race day. T-shirts guaranteed to the first 200 registrants. T-shirts race day while supplies last. Awards in the 5k run/walk will go to the top three overall men and women and to the top three in ten year age groups for men and women, from 19 and under through 70 and over. Awards in the 5k competitive walk will go to the top three overall men and women. Post race refreshments will be provided to all runners, walkers and the one-mile fun run/walk participants.